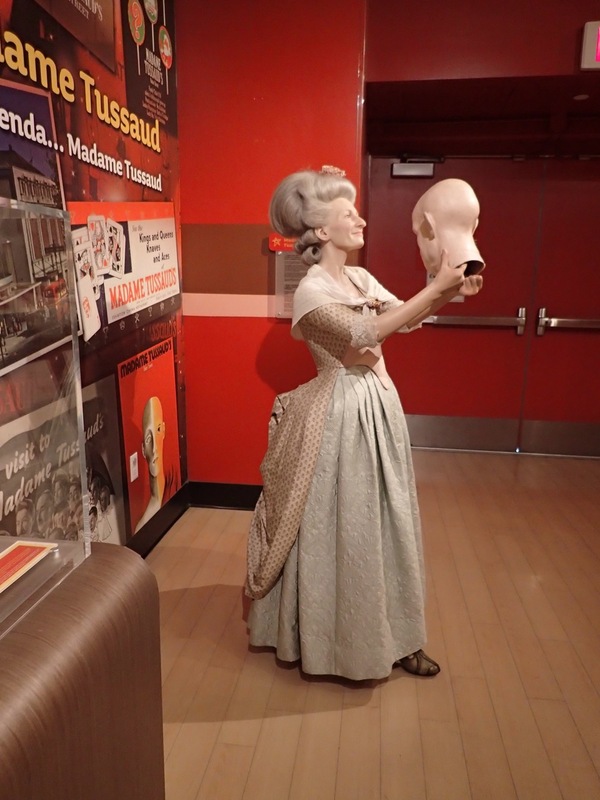 We had kind of higher expectations for Madame Tussaud's than the Hollywood Wax Museum, which may be why we ended up liking it less, but really it came down to it just not having many figures of interest to us. 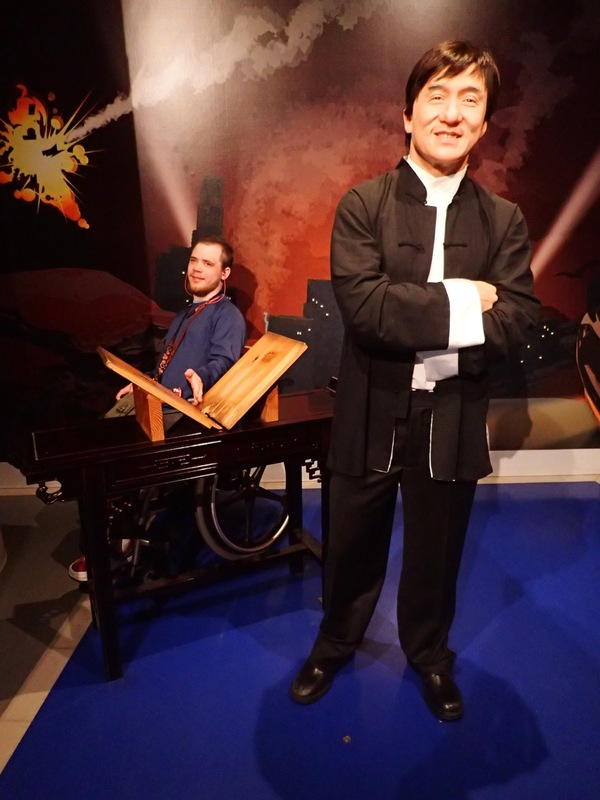 Also, Madame Tussaud's D.C. is just way better in terms of interactive things along with figures that we were more interested in. For everyone, the visit starts with an elevator ride to the third floor. Then there are stairs (or you use another elevator, which has a fun mural) to go down floor by floor. 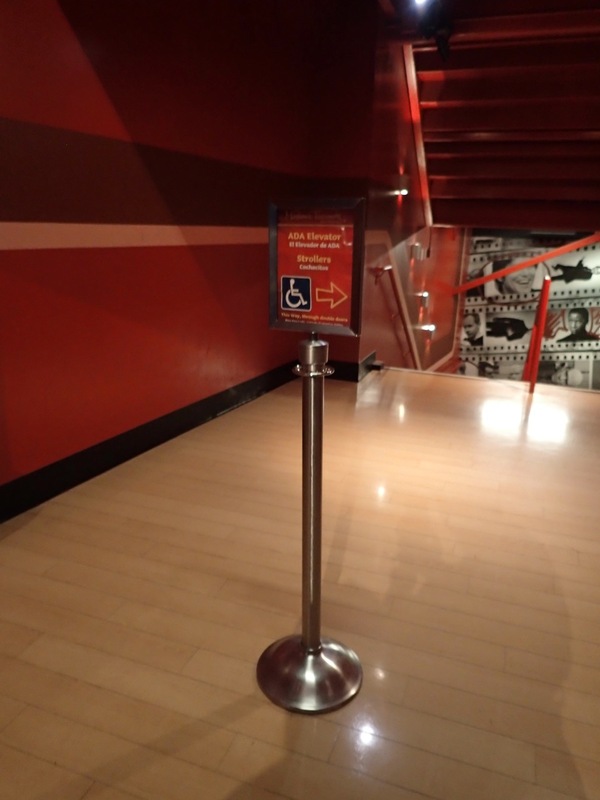 The signage is pretty good, but the lady that scanned the tickets also clearly explained how to navigate through the museum (not just for us, but in our case explained about the elevators instead of the stairs). This especially was helpful in that she told us you have to backtrack at the end of the second floor exhibit as the sign by the stairs tells you to go through double doors, but those were locked. 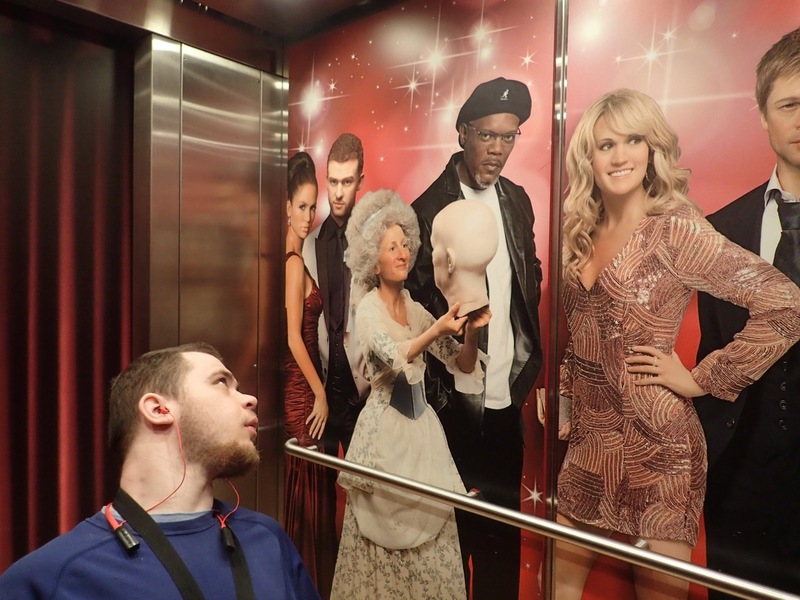 Since we skipped the stairs, we also almost skipped my favorite part, which was the little display about the history of Madame Tussaud's at the bottom of the stairs on the ground floor (go down the hall to the left after getting off the elevator on G-R). 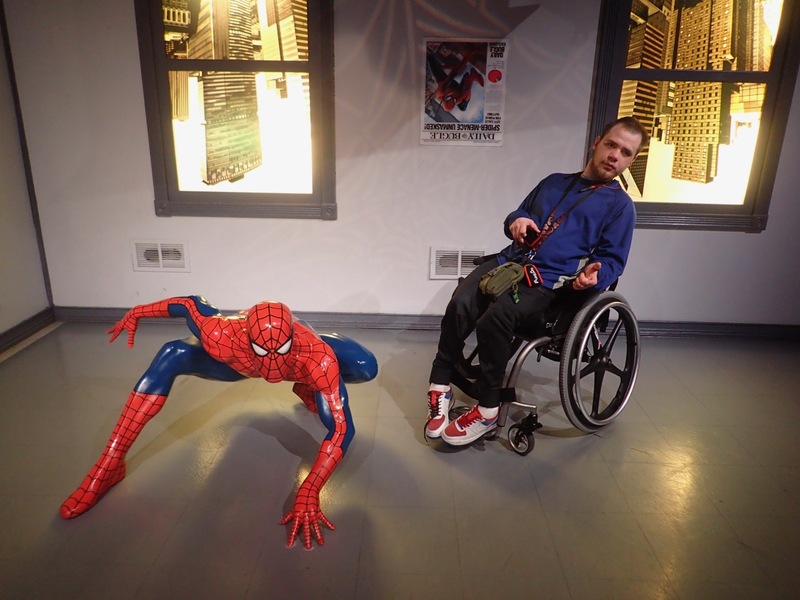 Mik's favorite area was the one featuring figures from action movies such as Jackie Chan, James Bond, Spiderman, and The Hunger Games. Overall we like the layout of Madame Tussaud's being more open than the Hollywood Wax Museum and thus better for navigating. 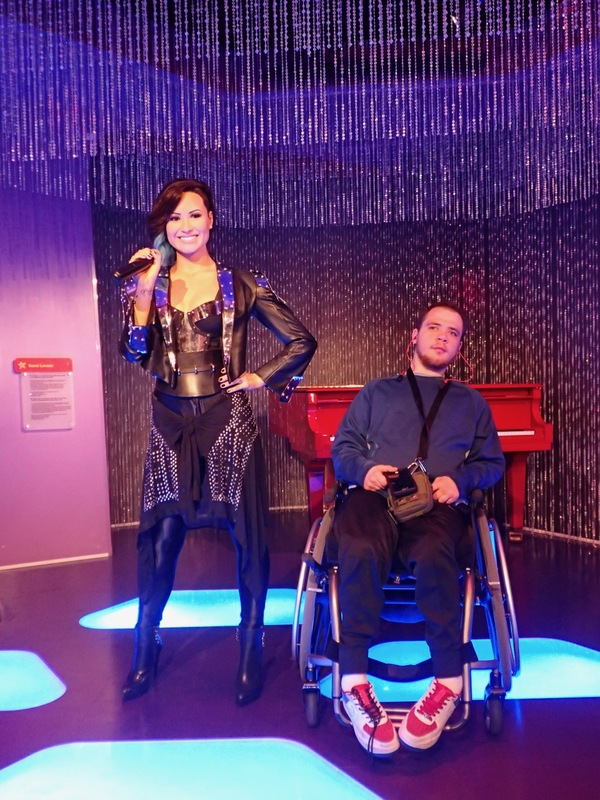 However, there really isn't more here and the figures and props at the Hollywood Wax Museum were more fun.